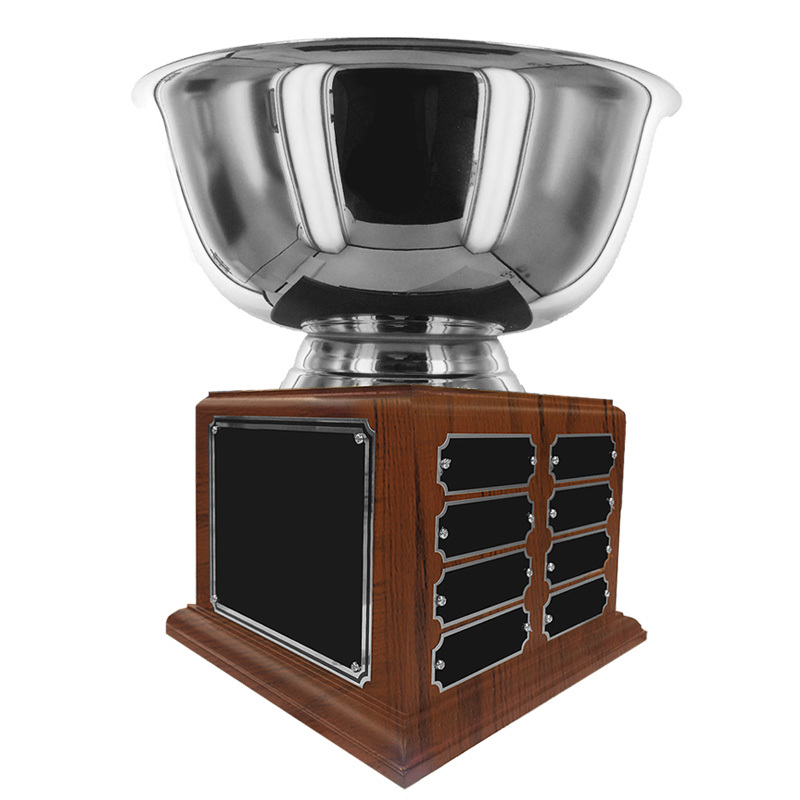 Item Description: 12 inch diameter silver Paul revere high polished stainless steel bowl perpetual trophy mounted on genuine walnut base. Trophy height from top to bottom is 11-1/4 inch. Bowl diameter is 12 inch. 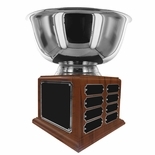 This trophy comes with black and silver frosted engraving plates (1 big plate and 16 small name plates). Plates are already attached as shown above.